BROWN ALE! in my opinion one of the most underrated styles. Light, yet complexed. Sessionable, yet sophisticated. Parallel 49’s Old Boy is all these things. Old Boy starts light on the nose before giving of tastes of toffee, caramel, and depending on who you talk to roast coffee, before finishing dry. Short post today but this is always one of my stand by beers! No mention of Christmas or xmas either. 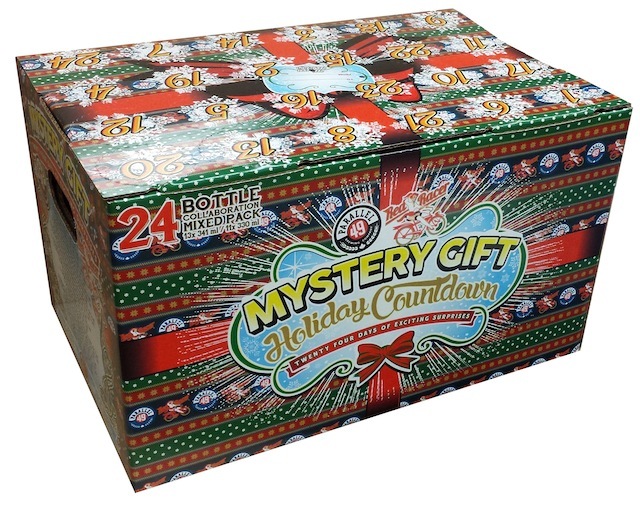 I will be reviewing each and everyone of the daily Parallel 49 & Central City Brewing Mystery Gift Holiday Countdown. So jump on board, follow along and even contribute your thoughts!